Isabella: Great news! 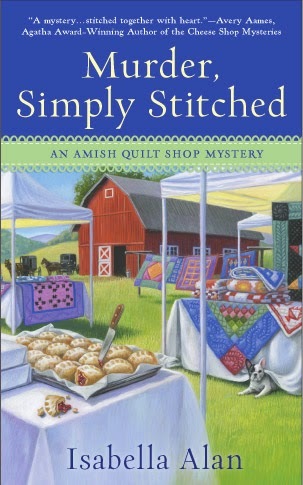 I’ve just learned there will be a book 4 and 5 in the Amish Quilt Shop Mystery Series. Angie, aren’t you excited?! Angie: That’s great news! I’m so glad my story will continue. Isabella: I know! I can’t wait to put you in more fun situations! Angie: Hey wait, I think we have a difference of opinion over what a “fun” situation is. What do you mean? 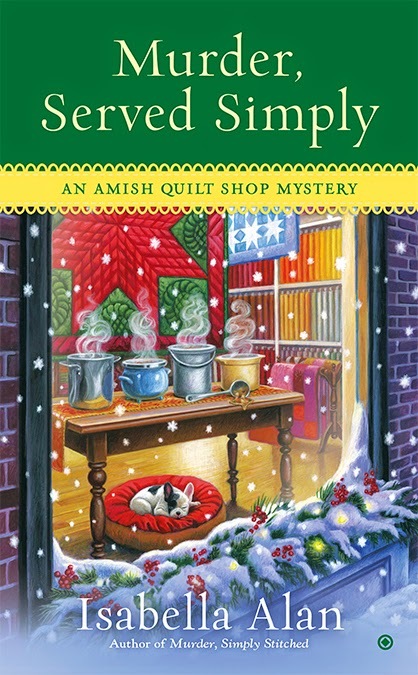 Isabella: Solving crimes and chasing down crazy Amish killers, of course! Angie: I don’t know how great this is… does this mean I will have more near death experiences while trying to catch a murderer? I mean, how many times will I be threatened with a pitchfork? I HATE pitchforks. Isabella: Ehh. It’s no big deal. Angie: Maybe to you! You’re not the one almost dying in every single book. Angie: I know what a hook is. You can be so annoying! Isabella: (sigh) Okay, give me an idea. Angie: How about a quiet weekend at an Amish B&B with the sheriff…. Isabella: That is suddenly raided by the Amish Mafia!! Angie: OMG! You know as well as anyone that the Amish Mafia isn't true. Angie: Are you insane? There are no pirates in Holmes County. I can’t even believe I’m having this conversation. Isabella: I think I have an even better idea. Yes, this will be epic. Angie: What? What is it? Isabella: You will have to wait and see. Angie: Hey, that’s not fair! The protagonist is always the last to know. I have rights, you know! Isabella: There will be a happy ending. I promise. Angie: There better be or… or… I’ll sic Oliver my French bulldog on you. Murder, Served Simply coming in December! I am SO looking forward to 3, 4, and 5 - love the series so far!! I just started reading this series and I am hooked! Thank you! My 93-year-old mother is currently reading the second in the series. I haven't read the first one yet, but she really enjoyed it, and I'm looking forward to reading them soon! Wonderful! Thanks for telling me! Looks like a great series to read! I love this series, and I am looking forward to future installments of Angie's story! The cover of the upcoming addition is FANTASTIC! I love it and want to jump right in!